In 2004, the Oak became America's national tree. It was the clear winner in a vote held by the Arbor Day Foundation for the nation's favorite tree. Oak trees are celebrated for their beauty and the shade they provide to both people and wildlife. They grow well in most of the US. 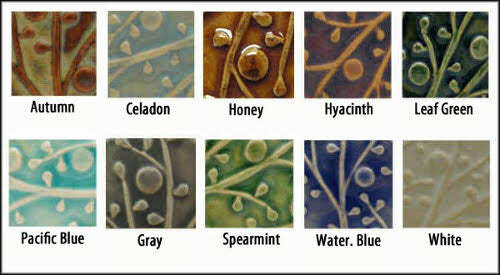 This oak leaf handmade tile design is available in three sizes: 2"x2", 3"x3", and 4"x4". You can see a very short video of this tile being sculpted on my blog.